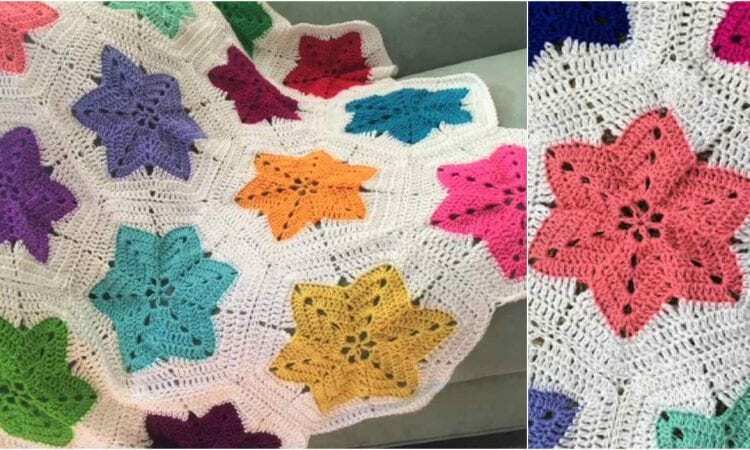 This beautiful star blanket will be great as a warm cover or bedroom decoration. Depending on the hues, it will look great all year round. You can also choose an exact color combination enabling this blanket to underline autumn or holiday decorations in your rooms. Because the individual panels are hexagonal, the blanket will have an interesting crenellated edge that will look great in a classic decor, or offset the straight lines of a modern one.